As a Conservatoire training over 800 students each year for professional careers as musicians and actors, we are experts at staging and presenting performances of all types and sizes. When hiring one of our venues for your performance, you benefit from the support and expertise of our dedicated events team. 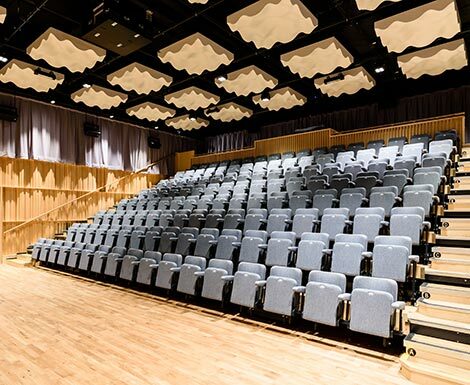 An impressive 493 seat concert hall with large stage suitable for anything from orchestral concerts to rock gigs, and dance performances to comedians. 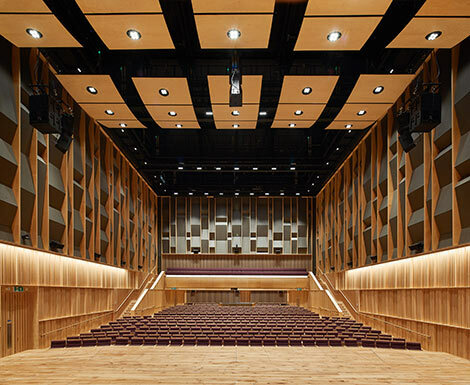 The Bradshaw Hall has been acoustically modelled to optimise the experience of performers and to ensure the best auditory experience from every seat. 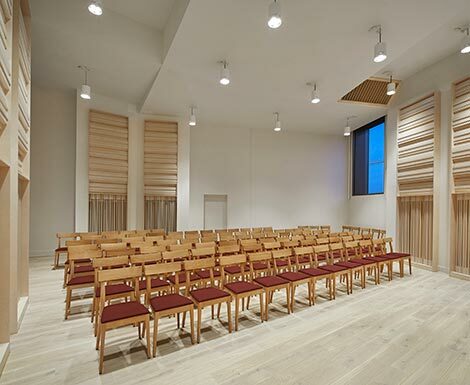 An intimate 146-200 seat Recital Hall with flexible seating layout and sprung floor suitable for smaller performances ranging from string quartets to poetry readings and dance and drama. Attention has been paid to every detail in the design of the hall to optimise the experience of both audiences and performers. A cosy and sophisticated 60–100 capacity jazz club suitable for jazz and other music and spoken word gigs of all types. As Birmingham’s only dedicated Jazz venue, Eastside Jazz Club has been expertly designed to create a quintessential, cosy, jazz club atmosphere. 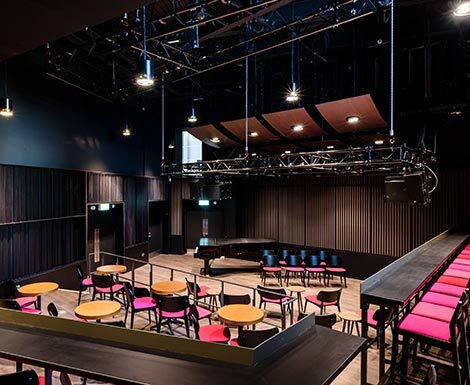 An innovative 100 seat flexible black-box studio designed to enhance cutting edge performance and suitable for new music, art performances, theatre productions and film screenings of all types. The venue has fixed acoustics with a low reverberation time and duplicate input points. An elegant 80 seat venue equally suited to solo, chamber and organ performance. The venue has a distinctive shape and tranquil atmosphere created by natural light flooding onto the pale wood of the interior. It is completely flexible in terms of the set-up and layout of the performance area and audience seating. 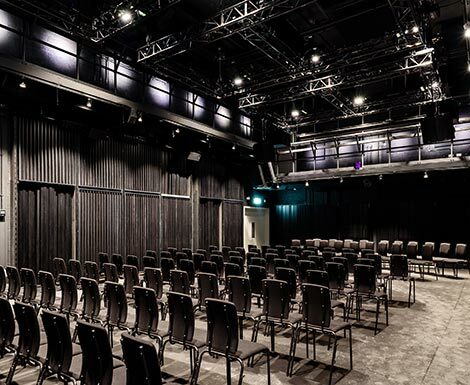 Our five performance venues are located around a large spacious atrium and foyer, accessed by two public entrances and split across three levels connected by a central staircase and lifts. The box office, cloakroom, restaurant and bars are all located in this area. Views looking out over the campus make these spaces ideal for people to gather for drinks and food before and during the intervals of events. HD screens and speakers are located throughout the foyer area for announcements and show relay from the venues, or for background music to be played. Flat rental and commission based rental packages are available. Please send us a message and we'll contact you to discuss your artist or event in more detail.